In a world where nightmare and legend are truly real, only a certain man can save it. And not just any man, but a seventh son of a Seventh Son. Master John Gregory (Jeff Bridges), a seventh son, is a spook, essentially a protector of his town from the dastardly demons, ghouls, shapeshifters, and the like. Father time waits for no one though, and Master Gregory has been actively trying to find an apprentice to fill the eventual void. Problem is, none of them have survived long enough to learn the trade. 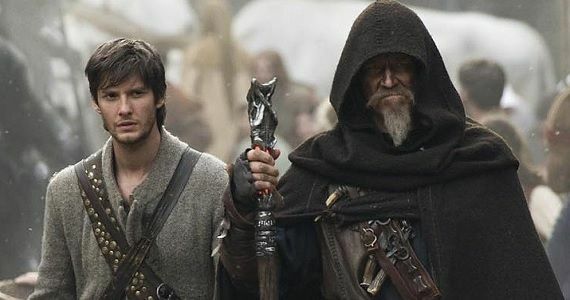 It takes another seventh son to ensure the continued safety of the land, and Gregory recruits Thomas Ward (Ben Barnes) as his heir apprentice. For Tom, he’s going to have to grow up fast, as the baddest witch Mother Malkin (Julianne Moore) has escaped confinement to wreak havoc once again. Destiny beckons, and it is time for Tom to answer the call. Development hell. Whether a movie, album, television show, video game, or otherwise, the term usually spells doom for said project. Like anything, there are exceptions. However, if the troubled project is lucky (or maybe unlucky) enough to reach the light of day, often it can be seen why it had so much tumult around it. Seventh Son, a movie conceived in 2011 and mired in its share of development hell, shows why throughout. 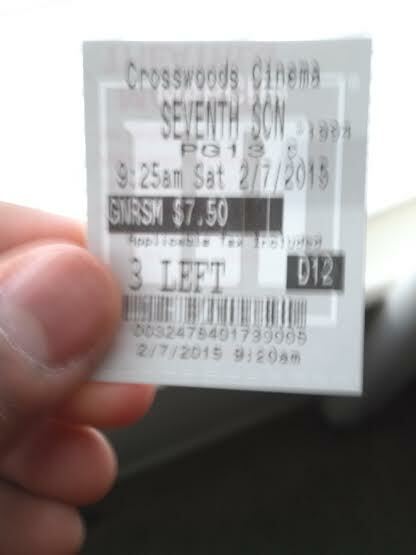 Seventh Son isn’t completely worthless. At times, it does look respectable with solid CGI and functional action, directed by foreign filmmaker Sergey Bodrov. This is truly a film that looks better, not amazing, but better, when stuff is happening be it battles, shape-shifting, etc. This is a film that looks terrible when characters are doing nothing more than standing idly in the background talking to one another. The characters are superimposed against skies and environments that are not convincing whatsoever. Where did the budget go? Admittedly, yours truly just isn’t a huge fan of fantasy/sword & sorcery-type films, save for a few exceptions such as the original Conan the Barbarian. Really, the story in this film isn’t jumbled or unclear, but it is devoid of even a shred of originality. At the end of the day, it is the standard good v.s. evil that exists in some form everywhere, with a large helping of the chosen one realizing their destiny tale. It works OK for what it is, but for something that was likely intended to be the start of a franchise, it is very surprising that hardly any attention is given to expanding the characters or even the town they inhabit. Unless I missed it, the town’s name wasn’t even mentioned here! The film is based on a novel, and it is possible the novel never states where it takes place. Still, it feels odd that nothing is ever really known about this town or the mythos of its inhabitants. All of this just further speaks to the main issue of the movie: Save for a few scattered moments, all in all it is just quite dull, lacking any flair or intrigue. As stated before, a main part of this is the coming of age aspect. It is a little flat for one reason: The star is already of age, literally. I’m not saying that Ben Barnes is an old-looking guy at 33, but he isn’t exactly easy to buy into as a teen who seems to be written as no older than 18. It is just a really puzzling casting decision. Kit Harrington, who appears here briefly—and forgettably—would have at least looked the part more. As it stands, Barnes fails to bring any charisma, chemistry with his romantic counterpart, or screen presence to the role. While Barnes is the main character, the reliable ones are played by Jeff Bridges and Julianne Moore. Neither’s role is enough to bump this up to an average level, but they are enough to save it from a failing one. Bridges is the war-tested type here as the guy who’s been through all of the trials and tribulations to last a lifetime, with some goofiness thrown in with a weird accent for good measure. Julianne Moore is an adequate villain, and she does what she is able to. For as talented as Djimon Hounsou is, he seems to be in a comfort zone as a henchman in the last few flicks he has been in, this included. With so much swords, sorcery, and otherworldly aspects, the last thing a fantasy movie should be is a bore. But that is what Seventh Son primarily is. Perhaps it would have been better to leave this in development hell. Photo credits go to screenrant.com, aceshowbiz.com, and joblo.com. Seems like the unanimous decision on this one is fail. Think I’ll pass on it. Perfect choice. If you must, wait until home release. Not a fan of the genre really but there are much better ones out there. Haha Jordan, wise choice my friend.